AccuZIP Announces Revolutionary Direct Mail RESTful API Solution | Company Newsroom of AccuZIP, Inc.
ATASCADERO, CA, August 16, 2016	(Newswire.com) - ​​​​​​​​​​​The ​​AccuZIP Direct Mail secure and scalable RESTful API Solution is a 100% hosted solution that allows companies to integrate data quality, duplicate detection and postal presorting into their workflows and web-to-print portals. The AccuZIP Direct Mail Solution can also generate EDDM lists for saturation discounts with a single web service call. This revolutionary technology is the ‘missing link’ for every web-to-print portal on the market. UPLOAD File or CREATE EDDM List or CREATE a Mailing List (POST): Use any one of these web service calls to upload or create an EDDM or Mailing List (Business, New Business, Consumer, New Homeowner, New Mover). Once the file has been uploaded or created, a postage quote is instantly generated for all classes of mail and a unique Job GUID is returned in the JSON ‘success’ response. QUOTE (GET): Instantly provides the estimated postage savings for all classes of mail based on the list that was uploaded or created. A postage estimate and savings can also be created before you actually purchase and download a mailing list you created. This is important and allows the Integrator to show the immediate postage saving benefits without processing the list or downloading the actual mailing list. UPDATE QUOTE (PUT): Use this single web service call to submit all of the Job values in a JSON structure. DOWNLOAD (GET): Use this web service call to download the completed job in one compressed file. POSTALONE! eDoc Submission (PUT): Allows simple changes to the mail.dat file such as the Mailing Date, and will automatically communicate and upload your Mail.dat files to PostalOne! AccuZIP Direct Mail RESTful API Solution is secure, scalable, 100% hosted revolutionary new cloud based data quality and mail processing service that will forever change the landscape of web-to-print services. 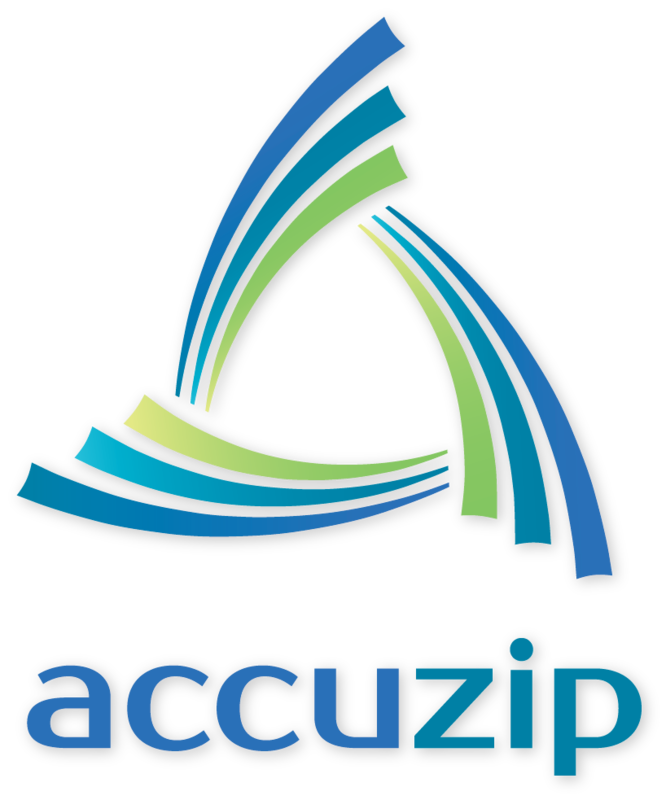 This innovative technology allows integrators to add rock-solid, industry standard best-practice certified technologies, developed by AccuZIP, directly into their own workflows and web interfaces quickly. The AccuZIP Direct Mail RESTful API Solution is an innovative and revolutionary technology that allows companies to finally ‘integrate’ a complete end-to-end postal automation workflow with 100% visibility of all mail-pieces in the mail stream. Because this technology can be placed within an existing web-to-print workflow, it will significantly reduce labor costs associated with manual preparation of a mailing list for entry into the mail-stream. The RESTful API solution even generates EDDM lists on-the-fly so that Integrators can seamlessly provide saturation lists for any ZIP code or area in the country in the same workflow. The AccuZIP Direct Mail RESTful API solution uses best-practice intelligence to simplify the end-to-end process of preparing data to enter into the mail-stream at the lowest price. A secure GUID URL is provided when the job is completed so that the customer can see all of their mail-pieces plotted on a map and can drill-down to a single-piece to visualize at every scan point and know when it is out for delivery. Our AccuZIP Direct Mail RESTful API solution is fast. Process jobs simultaneously or individually. On average 10,000 – 50,000 records will take just a few minutes to process through CASS, NCOALink, Duplicate Detection, Presort, along with generating the bookmarked hard copy documentation of the Mailing Statement, USPS Qualification Report, Job Summary, Container Tags, Print Ready files and Mail.dat files for eDoc submission. Our service also performs a Call Back to the Integrators web service when the job is completed so that the Integrator can create a pleasing user experience, such as links to the completed documentation, or displaying the actual postage savings and final list count, or enabling a Buy Now button. More and more end users are mailing smaller, more targeted mailings. 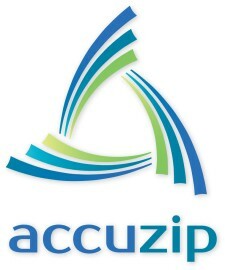 Companies that integrate the AccuZIP Direct Mail RESTful API solution into their workflow will have a significant competitive advantage, allowing ‘their’ customer to perform all of the data quality and mailing functions themselves within the same web-to-print workflow, so when the PDF is generated during the web session, it is already in postal presort order with Full-Service trackable Intelligent Mail barcodes. This revolutionary product is already integrated into several popular web-to-print solutions, such as the EFI Digital Store Front Variable Data Solution with Direct Smile, DirectMail2.com, Enfocus Switch Configurator, and many other integrators. We strongly believe this new solution will have a major impact to the web-to-print industry, by solving a very important problem of adding DQ, Postal and Mail Visibility within the existing workflow vs. a pre- or post- manual process.